Enjoy a Spooktacular Day in Thurles Shopping Centre! 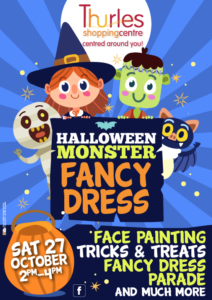 Enjoy Halloween with a fancy dress parade, face painting, tricks & treats and much much more! Save the date!